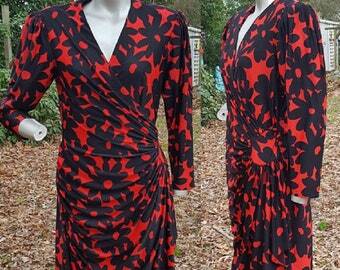 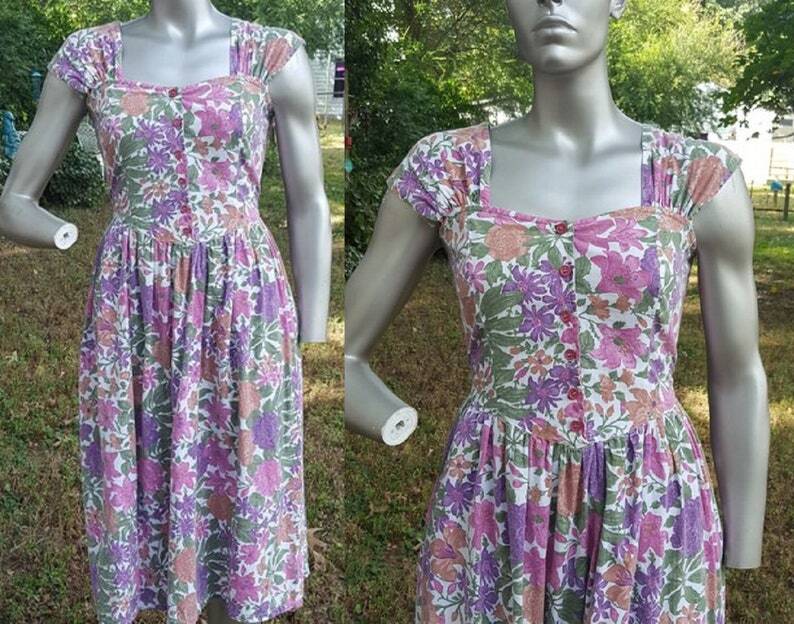 Great color palette on this adorable 80s sundress in bold floral. 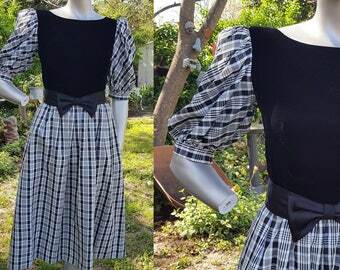 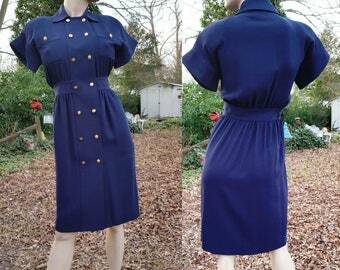 Vintage dress has wide gathered straps and a button down bodice with gathering in back. 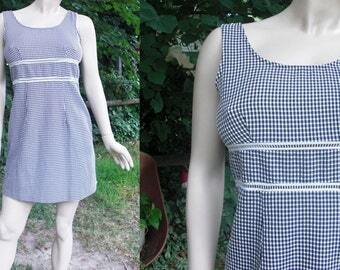 Colors are off white, purple, green, mauve and brown.